When I first moved to Seattle, my friend invited me to a German car show in Redmond. A visiting friend and I decided to check the show out. The show started early in the morning, so my visitor and I needed breakfast on the way to the gathering. He yelp’ed a place or I yelp’ed the place but I ended up driving us to Blazing Bagels in Redmond, WA. All I can say is that the rest was history. As a 100% traveling consultant, I am only in Seattle on weekends and maybe some Fridays here and there. 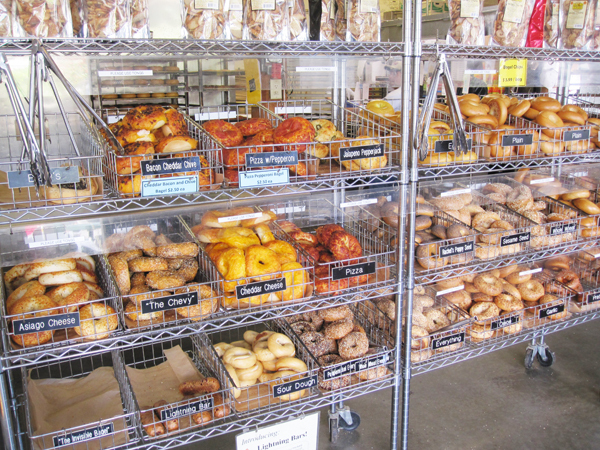 For months, maybe even a year, every weekday not in Seattle was spent thinking how I must go to Blazing Bagels on the weekend when I’m in Seattle (I wasn’t in Seattle on all the weekends). If you like salmon, you MUST MUST MUST get the salmon cream cheese spread. They have all types of bagels. I think I tried most of them (whole wheat everything, pumpernickel everything, pumpernickel rye, everything, whole wheat, snickerdoodle, french toast, blueberry, cinnamon chip, chocolate chip, sesame, pizza, cheddar cheese, blueberry, sun-dried tomato, etc.). I recommend the savory ones over the sweet; I wasn’t a fan of the french toast and snickerdoodle, but I think blueberry and chocolate chip won’t disappoint. Do whatever you want on your bagels (they’re highly customizable), pick a bagel, get a bagel sandwich, or anything. Just. get. your. behind. to. BLAZING BAGELS. I’m in New York right now and I want Blazing Bagels. Either Blazing Bagels is just that good or that’s just plain wrong. Pun intended. There is a branch in Seattle, Bellevue, and Redmond. 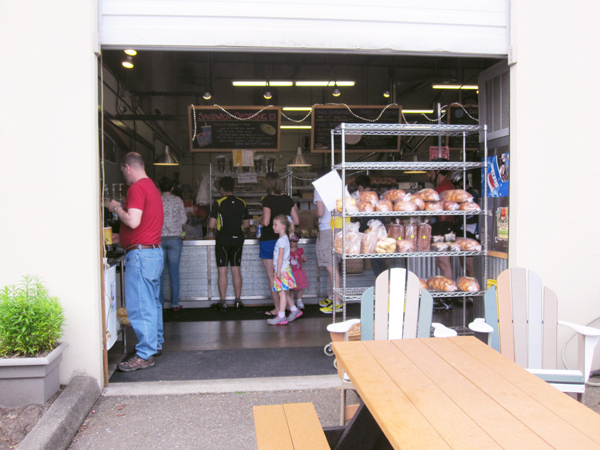 Redmond is HQ for the small mom-and-pop Seattle chain so GO TO REDMOND! :) I insist it will be worth the trip out. This amazing bagel selection is a self-serve extravaganza. The Redmond storefront is out of a warehouse. They make the bagels here so get em’ fresh and toasty. This entry was posted in Seattle, Taste and tagged blazing bagel, breakfast, seattle.